In Conor Walsh’s engineering lab at Harvard University, no one looks askance at a staff member wearing a loudly whirring backpack, with wires snaking out and down his leg. A trio of sewing machines have their own workroom. A dozen pairs of identical hiking boots neatly fill a shoe rack on the far side of a treadmill. A disembodied glove clenches and straightens as air fills and drains from its fingers. All of this equipment is aimed at helping people move faster, more smoothly, while expending less energy. Walsh, also a core faculty member at Harvard’s Wyss Institute for Biologically Inspired Engineering, is most excited about the devices his group is designing for stroke patients, who often struggle to regain their strength and fluidity of movement. The team has already shown that “soft exosuits” can provide a robotic assist to movement, enabling soldiers to march for longer.1 This month, the researchers will begin clinical trials to test the suits’ ability to help stroke patients relearn how to walk efficiently. Walsh belongs to a growing group of researchers worldwide who are using small, lightweight robotics to help people with a range of medical conditions that hinder mobility. Rigid, whole-body “exoskeletons” have made headlines in recent years—perhaps most famously when a suit developed by Duke University neuroscientist Miguel Nicolelis and colleagues enabled a 29-year-old paraplegic Brazilian man to kick a soccer ball at the launch of the 2014 World Cup in São Paulo. Such exoskeletons have helped paralyzed people to walk again, albeit awkwardly, by pushing, pulling, and supporting them to stand up and move one leg followed by the other. 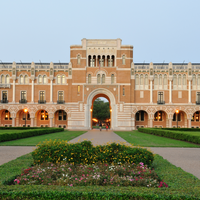 But Walsh and other researchers have realized that people with less-disabling conditions need a subtler boost. 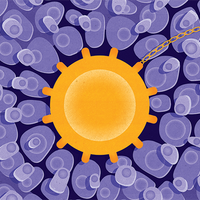 Now, teams around the world are developing smaller, lighter devices that help, rather than drive, movement. And sewn into clothes, they can be donned as easily as pulling on pants, a shirt, or gloves. A group in Italy is designing a suit to reduce falls among the elderly and amputees, for example, while researchers at Stanford University are trying to reduce the energy it takes people such as those recovering from stroke to walk. And a team in New York City is helping children with cerebral palsy get out of the “crouch gait” that makes it difficult and awkward for them to get around. These advances are supported by a number of technological improvements and cost reductions over the past decade, Walsh says. Motors are smaller, more powerful, and cheaper. Electronics are easier to use. Gyroscopes and accelerometers are now so tiny, inexpensive, and precise that they can give directions on cell phones—and can tell precisely where someone’s leg is in space and what direction it’s moving in. “The technologies that robotics research groups can pull from have gotten better across the board,” Walsh says. 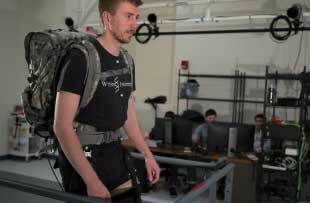 Walsh’s work on exosuits started nearly six years ago as a collaboration with scientists at the US government’s Defense Advanced Research Projects Agency (DARPA), aimed at reducing the energy soldiers have to exert to carry heavy backpacks over long distances. (See "Beyond the Clinic") But a few years into the project, the researchers began to realize the technology’s potential for helping patients, too—in particular, people recovering from stroke, which affects nearly 800,000 Americans a year, leaving many with physical disabilities. Stroke patients in wheelchairs fall even further behind: not only do they lack support for working on walking skills, but constant sitting impairs bowel and bladder function, reduces bone mass, and dysregulates blood pressure, notes Paolo Bonato, a researcher at Spaulding Rehabilitation Hospital in Boston who is collaborating with Walsh and Ellis. “Being in a standing, load-bearing position is actually quite important for the body,” he says. 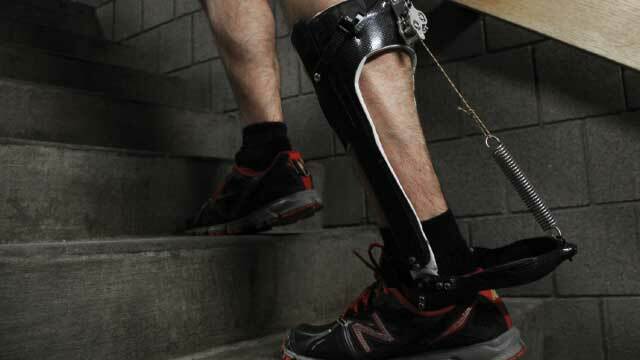 And a soft exosuit may be just what stroke patients need to get back on their feet. In Walsh’s lab, graduate student Jaehyun Bae dons a version of the device the group has developed and takes to the treadmill. As he pretends to walk with a dropped foot, a wire from the device wrapped around his calf and ankle pulls up his foot at just the right second to avoid hitting the floor, then quickly lets it go so he can push off. When he picks up his pace, the robotic movements speed up with him. Bae then shifts his gait to swing one leg outward. Again, the device matches his stride to pull the leg back in line. Even big-name corporations have expressed interest in the field. Samsung, for example, is developing full-body and hip-only exosuits designed to support walking in the elderly and disabled, and eventually to improve performance in soldiers. Honda has been developing an assistive exosuit for people with total paralysis. And Toyota announced earlier this year that its rehabilitative exosuit, aimed at people with lower-limb paralysis, would soon be available for rent by medical facilities. And it’s not just the size of the devices, but their function as well, Collins adds, arguing that most of the failures stem from a lack of understanding about how best to help. “It’s really easy to accidently make it harder for a person” to walk, he says. His and Walsh’s groups are now employing an iterative approach, in which devices can be changed or “learn” as people interact with them. Too many research groups focus on making a generic device that will move everyone’s legs, without addressing the individual motions that make up that movement, Collins argues. With an iterative approach, “you can try lots of designs really quickly without having to build new, specialized hardware” for every person who uses the device, he says. 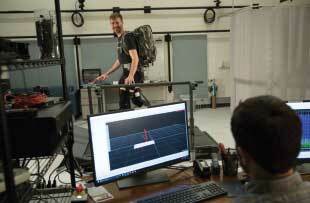 Using an optimization algorithm to efficiently explore the potential movements that might help, Collins and his colleagues showed they could reduce energy expenditure by 24 percent with an exosuit tuned to a healthy individual—an improvement four times greater than they’d ever achieved by making the variations by hand.10 “We were floored,” he says. Karen Weintraub is a freelance science writer living in Cambridge, Massachusetts. Larry Jasinski, CEO of ReWalk Robotics, says he’s convinced there’s a broad market for new exosuits. ReWalk made its name developing rigid exoskeletons for people with spinal cord injury, and now has FDA approval for a device that allows paralyzed people to stand and walk. But he says at least one-third of the calls he gets are from patients with motor neuron diseases asking him when he’s going to make something that can help them. “It tells me that we have an audience here that’s actually bigger than the spinal cord community,” he says. He says he’s hoping that within a few years he will be able to offer even less-expensive suits tailored for other patients: people suffering from multiple sclerosis or Parkinson’s disease who need even lighter movement nudges. Jasinski says he expects to round out the offerings with exosuits aimed at people with cerebral palsy and the elderly, once the suit can be redesigned and tested for them. “If we can handle all those, we’ve got a very large industry,” he says. WYSS INSTITUTE AT HARVARD UNIVERSITYAsa Eckert-Erdheim, a staff engineer in the lab of Conor Walsh at Harvard University, walks slowly and then quickly on a treadmill. Wires emerge from the military-style backpack he’s wearing, heading to bands that wrap around his legs and end where his shorts do, just above his knees. The robotic device detects his repetitive marching motions and supports his legs with forces applied in parallel with his muscles. But as he disrupts the rhythm, pretending to climb over a rock in his path, the cords go limp, so they don’t get in his way. The device also adapts to his speed as he breaks into a run. The robotic exosuit is intended to help soldiers march faster and farther while carrying heavy packs, Eckert-Erdheim explains. The latest version of the Harvard suit weighs 4.5 kg and can reduce a soldier’s effort by 5 percent to 10 percent in real-world situations. 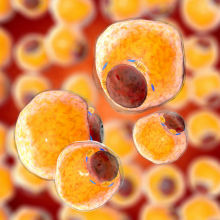 Eventually the goal is to achieve a 25 percent energy reduction, says Walsh, a faculty member at Harvard’s Wyss Institute for Biologically Inspired Engineering who in 2014 received a $2.9 million contract from the Defense Advanced Research Projects Agency for the work. MAKING THE JOB EASIER: In partnership with the US military, researchers at Harvard’s Wyss Institute are developing an exosuit, worn here by grad student Pawel Kudzia, intended to reduce energy expenditure for soldiers and first responders.WYSS INSTITUTE AT HARVARD UNIVERSITYThe promise of this technology has attracted military interest for decades. In the early 1960s, for example, researchers at Cornell University teamed up with the Navy to develop the Man Amplifier, a full-body exosuit intended “to augment and amplify [a soldier’s] muscular strength and to increase his endurance in the performance of tasks requiring large amounts of physical exertion,” according to a 1964 report. More recently, Steven Collins at Stanford University has been working with the Army to design a lower-limb exoskeleton that provides assistance at the hips, knees, and ankles, as well as “human-in-the-loop optimization algorithms” to identify the best patterns of robotic assistance. Back at Harvard, Walsh and his team are still meeting with Army officials to figure out how they might proceed with the project even though the lab’s last military contract has ended. 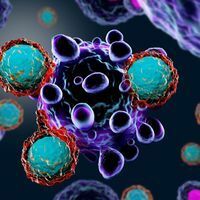 “We don’t have a clear idea yet, but we’re excited about talking to the Army and the military medical community,” says Ignacio Galiana, a staff robotics engineer at the Wyss Institute and former postdoc in Walsh’s lab. First responders such as firefighters could also benefit from devices that reduce their fatigue as they climb flights of stairs or carry limp bodies, for example. Researchers also see a market for these exosuits in athletics, particularly when it comes to training, “to sense how you’re doing and give you feedback on how you could improve,” says Galiana. “Or you could imagine wearing the device to improve your performance or to recover faster after you do a lot of exercise” or suffer an injury. Correction (Feb. 2): The original version of this story incorrectly identified MIT's Hugh Herr as Conor Walsh's postdoctoral advisor. He was, in fact, Walsh's graduate advisor, as indicated in this corrected version. The Scientist regrets the error. Y. Ding et al., “Biomechanical and physiological evaluation of multi-joint assistance with soft exosuits,” IEEE Trans Neural Syst Rehabil Eng, 25:119-30, 2017. L.N. Awad et al., “A soft robotic exosuit improves walking in patients after stroke,” Sci Transl Med, 9:eaai9084, 2017. V. Monaco et al., “An ecologically-controlled exoskeleton can improve balance recovery after slippage,” Sci Rep, 7:46721, 2017. S. Galle et al., “Exoskeleton plantarflexion assistance for elderly,” Gait Posture, 52:183-88, 2017. 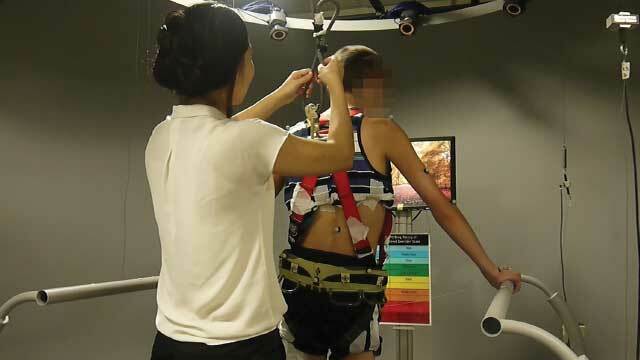 J. Kang, et al., “Robot-driven downward pelvic pull to improve crouch gait in children with cerebral palsy,” Science Robotics, 2:eaan2634, 2017. M.I. Khan et al., “Enhancing seated stability using trunk support trainer (TruST),” IEEE Robot Autom Lett, 2:1609-16, 2017. 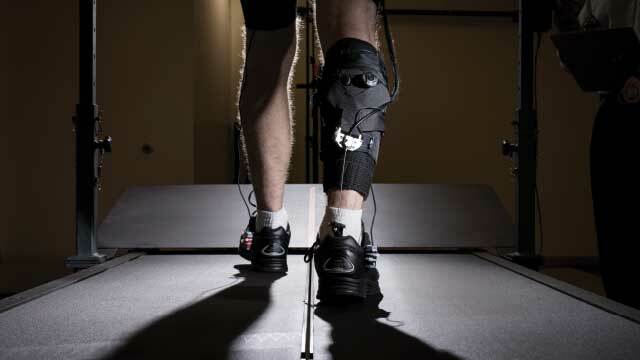 J.R. Koller et al., “Learning to walk with an adaptive gain proportional myoelectric controller for a robotic ankle,” J Neuroeng Rehabil, 12:97, 2015. K.Z. Takahashi et al., “Adding stiffness to the foot modulates soleus force-velocity behaviour during human walking,” Sci Rep, 6:29870, 2016. H. Herr et al., “Bionic ankle–foot prosthesis normalizes walking gait for persons with leg amputation,” Proc Biol Sci, 279:457-64, 2012. J. Zhang et al., “Human-in-the-loop optimization of exoskeleton assistance during walking,” Science, 356:1280-84, 2017.